The perfect complement to the PDC Smart® Wristband Kiosk. Enables patrons to quickly re-load funds to their RFID wristband anywhere in the park. 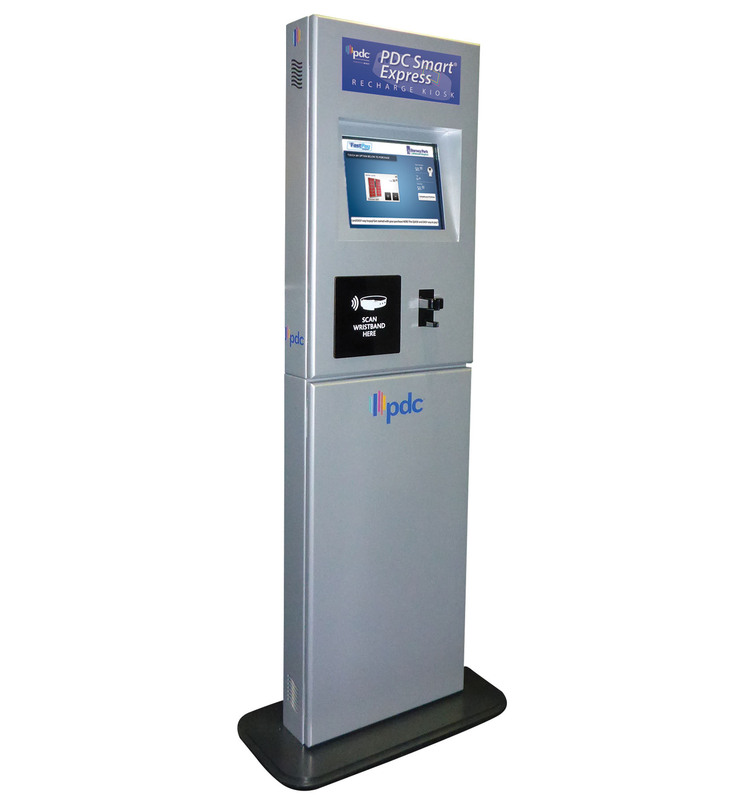 The perfect complement to the PDC Smart® Wristband Kiosk. 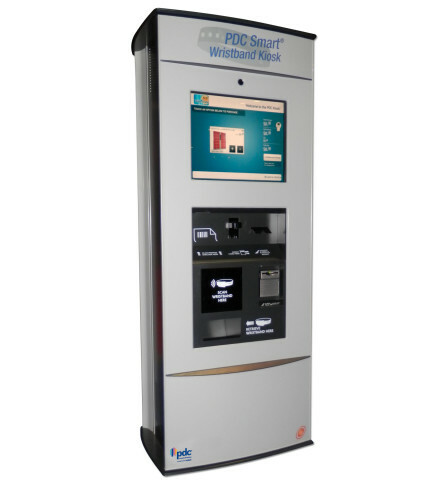 The PDC Smart® Express Recharge Kiosk enables patrons to quickly re-load funds to their RFID wristband or credential for quick and easy cashless purchases throughout your venue. ■ Delivers guest convenience to improve the overall experience. ■ Speeds up transactions to reduce lines and wait times. ■ User-friendly, touch-screen interface makes transactions fast and simple. ■ Helps reduce labor costs by eliminating the need for additional staff. ■ Processes secure transactions with cash or credit cards and optional security camera. ■ Offers customizable reports including revenue, transaction rate, rental availability, etc. The ultimate self-service platforms enable patrons to purchase admissions, concessions, rental items, or re-load funds to their wristband quickly.